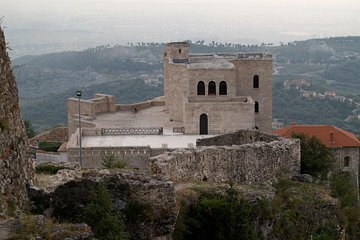 Kruja is an important center for Albanian history, and you can visit it easily on this half-day tour from Tirana. Depart from your Tirana hotel in an air-conditioned coach and travel with your guide to Kruja. Visit the castle and the old bazaar and learn about the history of Kruja from your guide. Everything went smoothly. Pick-up was on time and we had a private tour for two! Josef was an excellent host with lots of info and recommended a delicious lunch menu which we all shared. He even helped us retrieve our lost luggage!